Orange's latest announcement that it plans to offer 20Mbps broadband as standard shows up the government's Digital Britain plans for all Brits to have at least 2 Mbps broadband by 2012 to be sorely lacking. Orange's new 20Mbps offering shows how the government is "off the mark" according to one broadband expert. James Parker, broadband manager at Moneysupermarket.com, has been quick to claim that the UK government's plans to introduce universal broadband at a minimum speed of 2Mbps is simply not good enough. 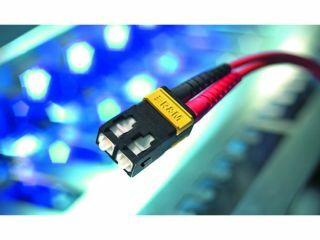 Parker applauded Orange's latest moves, which follows the trend towards superfast broadband offerings from the bigger broadband providers such as Virgin Media and BT. "The only thing to keep in mind is that this offer is up to 20Mbps, so for some people this speed may not be achievable due to their location, but minimum speeds should increase significantly for most Orange customers," he said. "I hope this announcement encourages more providers to follow suit and up their minimum speeds."